Writer So Hyeon-kyeong has rounded up the cast for her latest. Sources stated that Shin Hye-sun was looking through the offer of the new weekend drama "My Golden Life". Park Si-hoo is also likely to star in "My Golden Life" as Cha Do-kyeong. So Hyeon-kyeong wrote "My Daughter Seo-yeong" and "My Husband Got a Family". She is collaborating with director Kim Hyoung-seok in the new KBS 2TV drama "My Golden Life", a story about a woman who has the chance to upgrade her life status and finding true happiness. Park Si-hoo is taking on the role of Cha Do-kyeong, the only son to the chairman of Haesung Group. Shin Hye-sun's offered character is Seo Ji-an, an employee on the marketing department. Lee Tae-hwan's role is Seon Woo-hyeok, Shin Hye-sun's high school friend and rookie industrial design employee. 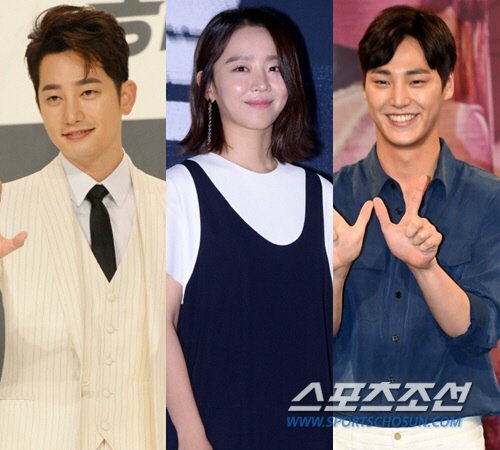 "Park Si-hoo, Shin Hye-sun and Lee Tae-hwan to star in "My Golden Life""
[Photos] "The Battleship Island" Ryoo Seung-wan, "Song Joong-ki is outdated", Kim Su-an, "Handsome Gong Yoo VS good-natured Hwang Jung-min"